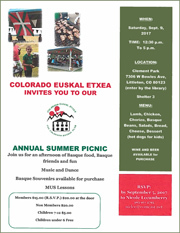 The Colorado Euskal Etxea invites everyone to join them for their annual picnic this Saturday, September 9th at Clement Park in Littleton, CO. The event will begin at 12:30pm and will include "Basque food, Basque friends, and fun, music and dance." 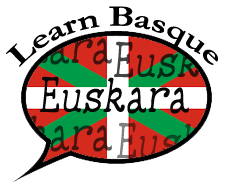 There will also be Basque souvenirs available for purchase and Mus lessons. For complete information, including cost of the lunch, see their flier, here. The Santa Rosa Basque Club will also host its annual Basque Festival this weekend. The festivities will begin on Friday, September 8th, in Winnemucca with the "Muma Scramble" beginning at 9am at the Winnemucca Golf Course. After the tournament there will be pintxos, drinks and dancing to the music of Jean Flesher at Ormachea's Dinner House. Saturday's events begin 10am at St. Alphonsus Catholic Church in Paradise Valley for mass celebrated by Aita Antton Egiguren. Following mass, at noon, everyone is invited to Fireman's Park to enjoy a day of food, drink, dancing, sports and games. The day will conclude with a dance to the music of the Jean Flesher Band and Mercedes Mendive at 8pm. For complete information, including contact information for the Muma Scramble visit their website. The Marin-Sonoma Basque Association is hosting its annual event this Sunday, September 10th at Penngrove Park in Penngrove, CA. Doors open at 11:30 and lunch will feature BBQ chicken. For complete information email the club here. 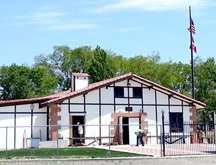 After a summer hiatus, Elko's Euzkaldunak Basque Club is resuming its monthly lunches. The first one will be held on Sunday, September 10th at noon. Everyone is invited to join them and enjoy food, drink and maybe a little NFL football as well. For complete information, visit them on Facebook. As everyone knows, NABO was the host of this year's World Championship Mus Tournament of Basque Collectivities. This is a yearly event that is hosted by a different Mus federation annually. 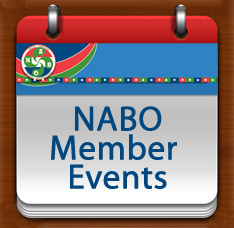 This year, NABO hosted 11 teams from 9 different countries from August 25th through September 3rd. Mus players and their companions not only enjoyed Basque festivities in both San Francisco and Chino, but also sightseeing in both cities, as well as a tour of the Campos Bros. Farms. After ten games, the team from Canada, Patxi Altuna and Rufino Iribarren came out on top, followed by the Euskadi 2 team, Martin Begiristain and Javier Gabarain. Third place went to the team representing France, Michel Larramendy and Jean Michel Sinde. On behalf of everyone at NABO, we would like to congratulate the winners and especially thank NABO Mus Chair, Pierre Etcharren, and Vice-President Valerie Arrechea for their hard work and organization of this wonderful event. Sincere thanks and gratitude also go to Jose Luis Urrutia, Juan San Mames, Juliet and Tony Campos, Pello Urrutia, Candida Echeverria, Lisa Etchepare, the San Francisco Basque Cultural Center, and Chino Basque Club, and everyone else who contributed to the success of this event. During the tournament there was also a meeting of the Mus Federation of Basque Collectivities where it was decided that next year's tournament would be held in Macachin, Argentina hosted by the Euzko Alkartasuna Basque Club. The tentative dates for this event are September 22-October 1, 2018. Zorionak deneri! The NABO Pilota Finals also took place last weekend in Chino, also in conjunction with its annual Basque picnic. The event was held at the Aphessetche trinket for the first time in the tournament's history, and there players of all ages competed in different disciplines. For complete results click here. Thank you to NABO Pilota Chair, Teresa Iparraguirre for organizing such a successful event! 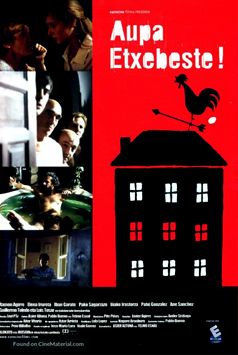 Zorionak deneri!